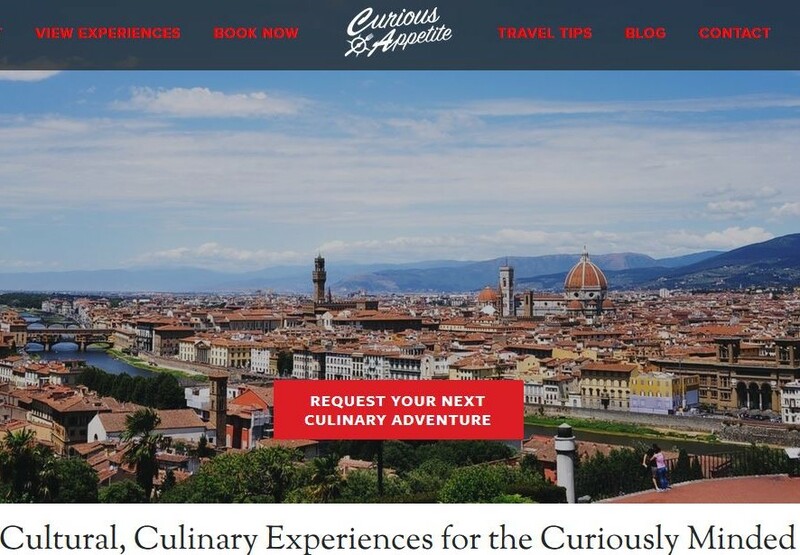 People frequently ask, “what’s the difference between a trattoria, ristorante and osteria?” Trattoria Cammillo is one of those places you just intuitively know it falls in a different category as an institutional Florentine keepsake. To answer your question however, Trattoria is where you eat home-cooked food, family-style service at blue-collar prices, Ristorante is white table cloth with higher quality food and service and usually better wine selection. Osteria used to be a place like a tavern where you’d just go to drink and have simple food, and historically where you could sleep too like an Inn, the original name for Osteria roots from Hostaria. Trattoria Cammillo probably fits more into the Ristorante category in terms of quality and service (white table cloth, service, food quality and wine selection) but it’s still in the mind in the city’s restaurant history as a family-run trattoria. The trattoria opened in 1945 and today is still run by the same family who opened it. 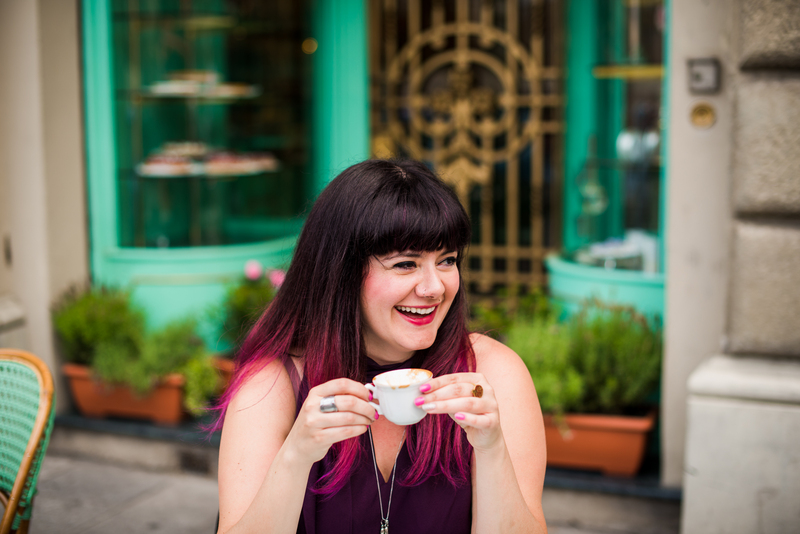 The food here is deeply embedded in Florence’s culinary DNA as well as family-passed down traditions. 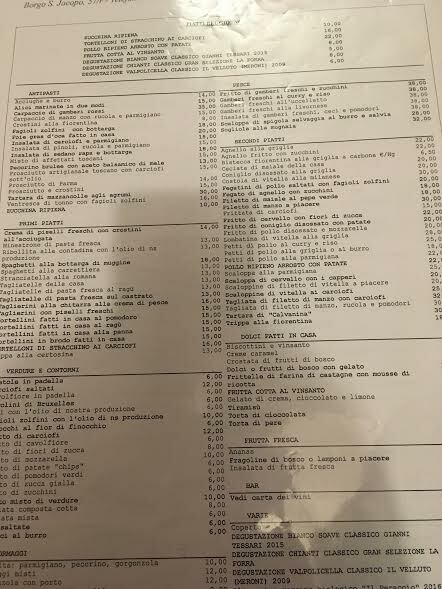 For example, the Bolognese father of the current owner, handed down Bologna’s recipe for tortellini and thus you find them on the menu here. The menu long but for some reason, they manage to procure fresh food albeit a ample selection. Some items aren’t wholly Florentine and Tuscan (i.e. chicken curry and rice) but the overall cultural weight, seems to represent the soul of traditional Florentine cuisine. To sum it up, I absolutely enjoy Trattoria Cammillo. 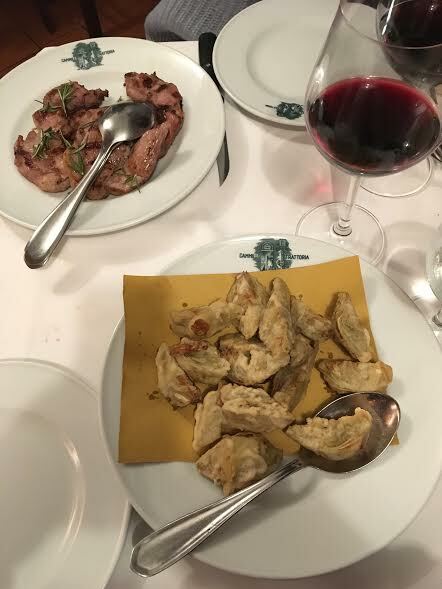 I find it to be one of the classic Florentine institutions hitting all the marks: authenticity/soul, food quality, service, deeply Tuscan in identity, righteous wine selections and price/quality ratio. 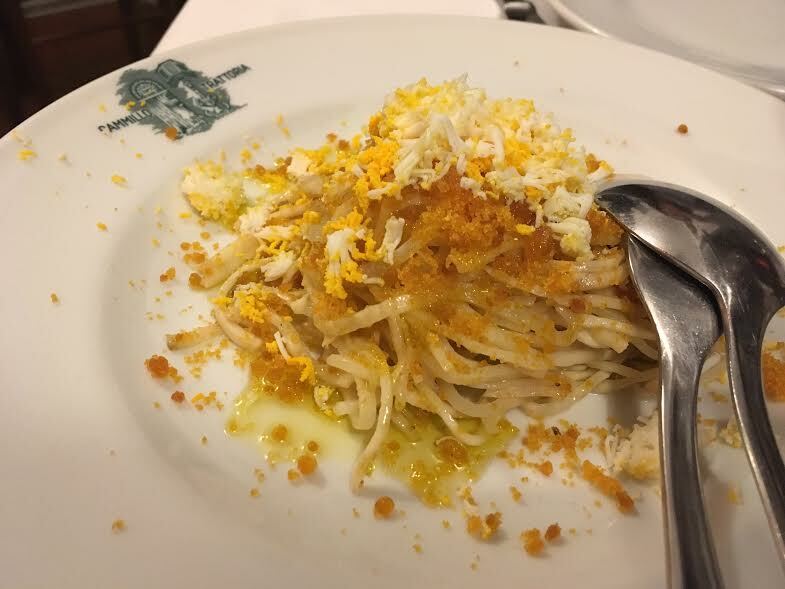 To start we had a winter celeriac (sedano rapa) warm salad with dried bottarga (fish egg- I swear it’s good!) doused on. I very much enjoyed this- and this bottarga was from dried fish egg (a slow food presidio product from Orbatello/Maremma) that is nice and salty, strong in umami. 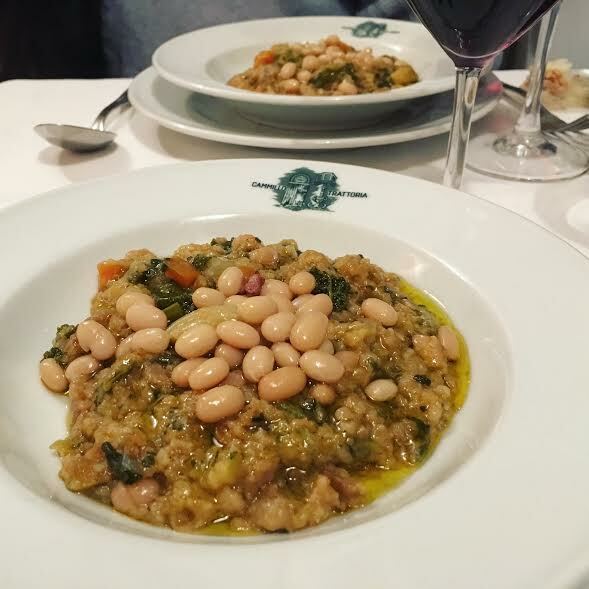 One of my favorite dishes in Florence is ribollita, a 2x boiled peasant soup of leftover bread, winter vegetables, beans and olive oil as the principle stars. 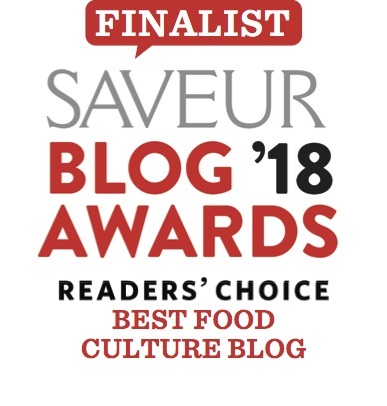 I wrote a post last year when I was in search for the best ribollita in Florence, which involved my “journey” in learning how to make it. And I wish I had been to Cammillo during my search, because I can say that Cammillo does (one of) the best ribollita in town. So far, at least! I probably should have tasted it at a wider cast of restaurants- but the stuff is filling. There are only so many times a week you can eat a bowl of ribollita and it’s extremely seasonal. I’ll be honest and say I wasn’t a huge fan of the lamb they grilled up, somewhat tough and stringy. However, I think I can attribute this to context. Florence isn’t so famous for lamb, people! The beef steak here I’ve had before and remember it was delightful- and this is what Florence is known for. 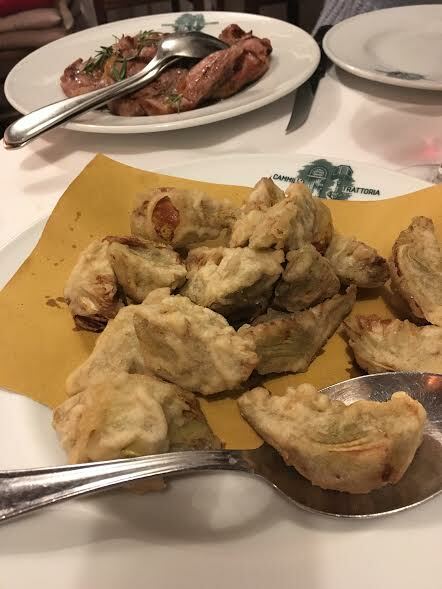 We also had their fried artichokes and my goodness- there are few times I go ga-ga for fried artichokes in this town. The ones at Cammillo had the perfect batter coating and the hearts within you could tell were freshly prepared and strategically selected. I didn’t feel like I was biting into mostly batter or bland artichokes- they were represented in their best glory! The last taste was their dessert, tiramisu, insisted by the staff. Tiramisu by the way was born in the Veneto, but you find it served in most parts of Italy. Honestly, Florence doesn’t have the grandest reputation for sweets so I gladly partake in universal goods. And the proof that Cammillo’s was delish? There is no photo to prove it- we devoured it all too quickly. Ah yes! Cammillo…our favourite tratttoria in Firenze. Love the food and all the great people…Chara, Alan, et al. Wish I could attach some pictures. Thanks for reminding us Coral…will see you in May we hope! Thanks for the restaurant tip! 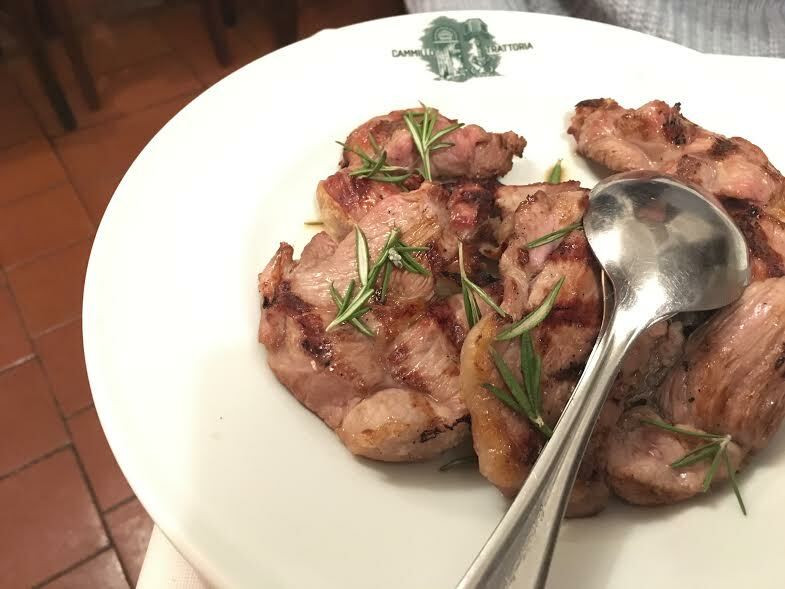 I agree about the steak – best i’ve had anywhere in Florence. Also the best calves liver. Still trying to reproduce it at home but I think the secret is a touch of red wine vinegar at the finish. I have such good memories of Camillo. My favorite restaurant in Florence. I definitely need to try this Restaurant! 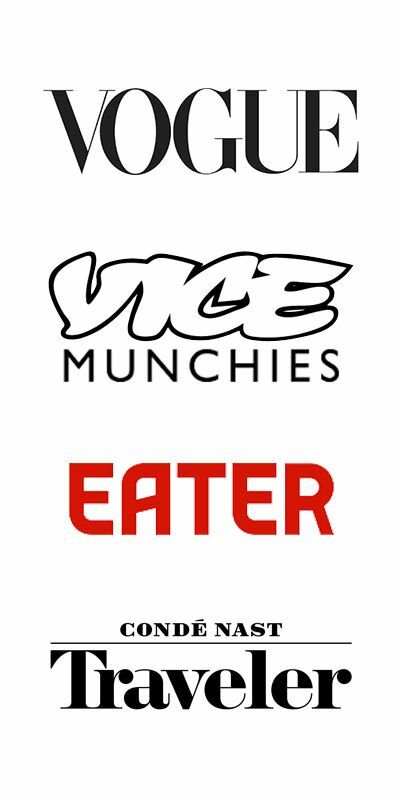 Do you know if they offer good meat-free dishes?